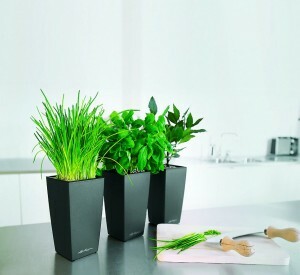 Growing plants in the home or office is a hobby for many people and a living for others. People who don’t have large open spaces to grow gardens make do with keeping some plants indoors. These plants are mostly those that require little care to be grown, and homeowners are usually happy with their presence in their homes. However, growing plants indoors can also attract the problem of pests – which with the proper care can be easily remedied. Plants that require humid conditions to grow are the ones that tend to attract the most pests. One of the most common issues that torment plant-loving homeowners are known as Fungus gnats. They belong to the families Mycetophilidae and Sciaridae, and are present mostly in spaces that have a high moisture content in the air. The adult fungus gnats are pretty harmless, but their presence in the house can be highly frustrating. Very often confused with a fruit fly, they are a flying species, which causes them to be a complete nuisance. The adult pest looks like a mosquito, is about 1/8th of an inch long, and has long legs and a pair of wings. The adult fungus gnat is delicate and gray in color, and doesn’t fly very strongly. The problems, however, are caused by the larvae. The larvae are half the length of the adults, with black heads and long bodies that are translucent. These are mostly found in damp soils that are abundant in organic materials like fungus. The good news is that the adult pests live for only a week. The bad news, however, is that during that week they can lay up to 300 eggs in moist soils. It takes only 4-6 days for the tiny larvae to take birth from these eggs, which then feed on the plants’ roots during the two weeks before they go into the pupal stage. In about 3-4 days, adults emerge from the soil and the cycle continues. This relatively short period of time that each generation has is what makes getting rid of the fungus gnats so hard. Plants can have multiple generations of the pest present at the same time, which means only killing the adults at a particular might not be enough to get rid of the pest altogether. So how does one know that there is a fungus gnat infestation on a plant? The first step is to notice if there is any wilting or yellowing of leaves taking place. Fungus gnats also inhibit plant growth, so that might be another giveaway of an infestation. If you find any of these symptoms, look for the larvae in the upper layers of the plant’s soil by turning it up carefully. If you see the white, translucent larvae in the soil then it is time to take some defensive measures to prevent permanent damage to your plant’s roots. The phrase ‘prevention is better than cure’ fits here squarely. As mentioned before, once a fungus gnat infestation takes place it can be difficult to get rid of. The best way to prevent it from happening is to avoid over-watering your plants. Fungus gnats thrive in damp soil with organic matter, so keep the soil only as moist as your plants’ requirement. If the Gnats do not have a suitable place to live, there will not be any Gnats..
• The easiest way is to let the upper two inches of the soil dry between watering times. The larvae cannot survive without moist soil, and this is an easy to way to get rid of the eggs as well as the larvae. This also makes the plant less susceptible to future infestations. Females will not be attracted to the soil to lay eggs either. • Use sticky traps, preferably yellow in color as fungus gnats are attracted to the color, to capture the adults before they can lay eggs. This is an easy way to remove the adult pests from the soil. • If you have to use pesticides, use those that are safe for plants. There are some pesticides that contain chemicals which act selectively on the larvae without affecting the plant at all. • You can also use nematodes to kill the larvae. Nematodes are worms, microscopic in size, which can kill the larvae by penetrating into their bodies and releasing certain bacteria inside the body. The nematodes are safe to use around pets and children, and don’t pose any harm to the plants. If you are looking for a less expensive way to get rid of the eggs with the materials you have lying around in your house, then dish soap is your answer. • Turn up the soil around your plant and take out all decaying plant matter from it. • Leave the soil until the top two inches of it are dry. • Take some liquid soap and vinegar, and add 1 tablespoon of each to the water that you are going to use for your plants. • When you water your plants with this mixture, leave the soil to dry every time before watering again. This will kill all the eggs as well as the larvae in some time. Fungus gnats are an unsightly pest to have flying around the plants in your home. The adults just take all the attractiveness away from your indoor plants and the larvae can cause a lot of damage to your plants. Taking precautionary measures against their infestation is always better than having to deal with it once generations of the pest have settled on your plant. This can happen in a matter of mere weeks, and can be a pain of get rid of. Follow the tips mentioned here and keep your plants safe from fungus gnats. If your plant is already affected then act as swiftly as you can before the pest grows in number and gets out of control. Growing plants indoors is a hobby for many. People love the character that plants bring to their homes as well as the beauty they add to their living spaces. Plants add a little color to life while also cleaning indoor environments of pollutants. There are large varieties of plants that can be grown indoors. Many of these are easy to grow, while others can be a little more demanding. People normally choose those plants that are easy to grow and that provide an added benefit to an indoor space. This is where herbs come in. A lot of people, especially those who love to cook, consider growing an herb garden right in their homes. This allows them to have quick access to herbs while cooking, and also adds a little freshness and fragrance to the home. While the best place for an herb garden would be the kitchen windowsill where there is plenty of natural light, there are also other ways you can grow your herbs if your kitchen is a little short on space. Herbs can be grown anywhere in the house where the conditions can be controlled. While basements have the advantage of few temperature fluctuations, they can be too cold. The same can be said for attics, where there may be enough space to grow a small garden but the usually hot temperature does not do well for the herbs’ growth. Other spaces like living rooms or dining rooms work well. If, however, you don’t have any space in these areas either, you can also grow an herb garden in a reflective grow tent. This can be a simple closet, or any enclosure, where you can use reflective materials to enhance the internal illumination. This works well for those people who don’t have space in their homes to grow herbs. These also let the grower control the conditions such as amount of light, temperature and humidity. If it wasn’t clear already, light is the ultimate key to growing a successful herb garden. To ensure the health of your herbs, make sure to provide as much natural light as possible. The ideal way to achieve this is to place the garden in front of a window through which natural light streams in. An herb garden that gets natural light for at least 4 hours every day will thrive in your home. Therefore, the best place to put your herb garden would be a south facing window. If your house does not receive too much natural light, or you don’t have a space to put your herbs in, don’t despair. As mentioned earlier, herbs are very easy to grow. They can grow even in artificial lighting, although not as good as in natural light. Common fluorescent lights have been used for a long time by people to grow indoor herb gardens. Nowadays, the quality of these lights have increased manifold and they can produce much better results. Fluorescent does produce too much heat either, so keeping them close to your plants to maximize light gain is not a problem. Your herbs will rot for sure if left in standing water for too long. You should ensure that the soil or growing mix you are using has good drainage to let the herbs live longer and grow better. Using clay pots to grow your herbs is a good idea. However, if you are in an area where the temperature is too high or the atmosphere is generally dry, then the clay pots will dry out very quickly. In this case, using a glazed container is advisable. Growing herbs in soil is easier than doing so in water. Soil is forgiving if you forget to water it for a day or two, and it keeps the herbs fresh and healthy. All a soil needs to have is good drainage and a pH level of nearly neutral around 6-7, and you’re good to go. Herbs don’t require a lot of fertilizer either, so soil is easily the better choice for people who are just starting out with growing herbs indoors. Hydroponic systems, on the other hand, are more complicated to deal with. They are only advised to be used by people who know what they are doing, otherwise you will run the risk of destroying your herb garden with the slightest of mistakes. The advantage of using these systems is the increase in the amount of the herbs. They also grow much quicker in these systems as opposed to soil. If you are Comfortable, they are Comfortable..
Indoor herbs like the temperatures that humans like, between 65-70 degrees Fahrenheit. Just make sure that the herbs are in a place where their leaves don’t touch the cool glass during the night, or they will get affected. One of the most tricky herbs to grow is Basil. It requires a temperature in the 70s, be it day or night. A slightly extended exposure to cool air and your basil’s leaves will start to droop. Try not placing your herbs in front of an air conditioner, as the cool or hot air produced by it will affect the growth. That is because the air produced by such appliances is dry, which herbs don’t like. If you have no other option and this is something you have to deal with, then a weekly shower will do your herbs some good. Growing plants indoors is not as difficult as many people think it to be. Herbs can be grown almost anywhere in the house with the proper conditions. If you are one of those people who love to cook in their home kitchens and like their ingredients fresh and flavorful, then this guide was just for you to help you grow the herb garden that you want. Palms are plants that people generally place in their offices, homes or gardens when they want to go for the ‘tropical’ look. Palms offer very attractive focus points in any garden or indoor space with their long and slender leaves, or fronds. While many palms prove difficult to be grown in the home, the Kentia Palm (Howea Forsteriana) is among the favorite species for homeowners. The reason for that is its ability to grow easily even with a good amount of neglect. It is a plant that is suited well to be grown in a container, unlike some other palms. The Kentia palm is native to an island near Australia, by the name of Lord Howe Island. Here, this beautiful plant with a thin trunk and feather-shaped fronds can grow up to an amazing height of 60 feet. However, the ones grown indoors usually have a height of 5-12 feet. Being an easy to grow plant, the Kentia palm doesn’t have a lot of requirements that need to be fulfilled. However, just like with any other houseplant, there are some things you need to be aware of to ensure healthy growth. The Kentia palm is a species that can handle various soil conditions, which is one of the reasons it is such a popular choice for people. That said, the plant does best in a well-drained soil. Be sure to keep the soil slightly moist at all times. If the soil doesn’t have good drainage, it can cause root rot to your palm. In case you are planning to grow the plant indoors or in a container, you should use a suitable potting medium with fast drainage. 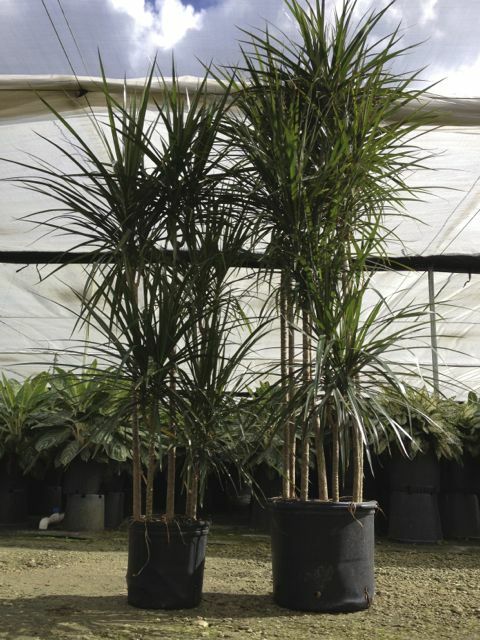 Using a medium that is on the sandy side will let your Kentia palm grow well. Kentia palms don’t require a lot of direct sunlight. When planting outside in the ground, be sure to place it somewhere with indirect but bright light. Direct and sharp sunlight can cause sunburn to young plants’ leaves. If any spotting occurs on the leaves, it is an indication that the plant is getting too much direct light and you should move the plant away into filtered light. 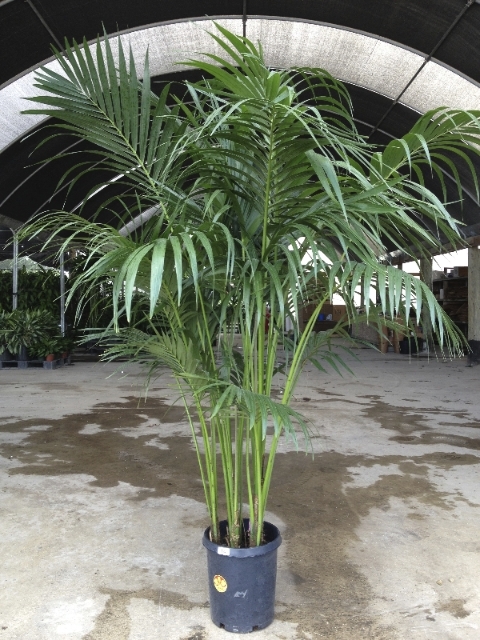 Kentia palms only need to be watered when the soil’s top layer is dry. Over-watering causes the plant’s roots to rot. Watering the plant too little causes the leaves to turn yellow, and then brown. A way to spot the plant’s watering requirements is by noticing its leaves and stalks. If you notice them drooping down instead of standing up firmly, it means you need to water the plant a little more frequently. As a rule of thumbs, you should water your Kentia weekly during the summer. Just be careful not to let the plant sit in water. Kentia palms prefer warmer temperatures to grow well. In winters, they can survive temperatures of around 55 degrees Fahrenheit. Try keeping the plants in a warm environment, like in front of a window with filtered light or in a shady part of your garden if outdoors. The Kentia palm is slow growing plant and doesn’t need a lot of nutrition to grow. During the summer, however, you should feed the plant with a slow release or a liquid fertilizer on a weekly basis. The most preferred fertilizer is one composed especially for palms. During autumn and spring, feeding the plant once a month is enough. Avoid repotting the plant generally, as the Kentia palms don’t like to be disturbed. If you have to repot, do so only when the plant is fully root bound. This should be the case after every two to three years. The reason for waiting this long is that the plant, at this stage, is growing very slowly and the chance of the plant dying from shock is minimal. Always remember not to disturb the plant’s roots a lot while repotting. Seeing the number of leaves growing out of the trunk, you might feel tempted to prune the Kentia palm very often. Avoid this urge unless pruning is absolutely necessary. Over-pruning can lead the trunk being permanently damaged. It may also encourage fungal attacks on your plant. This palm can be affected by the usual pests like mealybugs and mites. The way to avoid such attacks is by misting the plant regularly. Misting also provides a better humidity to the plant which helps with its growth. The sign of a healthy Kentia is the dark green color of its fronds. These can turn brown and ultimately die in case of over-fertilization. Another reason for the yellowing of leaves is a lack of air or water. Misting with water helps avoid such a situation while also taking care of dust buildup on the leaves. As mentioned before, over-pruning the plant may cause the trunk to decay. Keep noticing the truck for any splitting, as this may be the cause of pruning too much. A trunk that is decaying or splitting is an indication for a dying palm. The Kentia palm is a forgiving plant, which will grow well in a variety of situations. Just be sure to give the plant enough room to grow as it loves to grow a full canopy of fronds and a number of stems. If you keep a few things, as mentioned here, in mind, you can be sure to have a beautiful and striking plant adding to the elegance of your home or to the natural essence of your garden. Plants are one of the best and most natural ways of introducing color into an indoor setting. They not only brighten up the atmosphere but also make it cleaner for living. There is nothing better than a plant that adds a little color and life into someone’s lounge or living room. So what is better than a plant that adds not one – but three colors to an indoor space? That is one of the best and most widely qualities of the Dracaena Marginata, also known as the Dragon Tree. These plants have long stiff leaves that are striped in more than one color, depending on what variety you are growing. This is an attractive plant that can grow up to 15 feet. As with most common houseplants, the Dracaena Marginata is the plant of choice for many home owners due to its toughness and the ability to resist drought. That, coupled with its aggressive root system, makes it one of the easiest plants to grow indoors. • The Marginata Tricolor with green leaves that have streaks of dark red on the margins and an ivory colored striped running down the middle. • The Marginata Bicolor with leaves that have green and red stripes. • The Marginata that is the basic form of the plant with leaves that are dark green in color and have thin red margins. This plant can be grown in multiple ways. More commonly, it is seen grown as a single-stem system or braided together with other Marginatas in the same pot. As stated before, growing the Dracaena Marginata is easier than growing some others of the Dracaena family. Just like any other plant, however, some things have to be taken care of while growing the plant. Pay special attention to the light requirements below. Also make sure that your Marginata stays warm – above 50 Degrees F. for optimal growing temperatures. You will want to let your Marginata dry out between waterings. 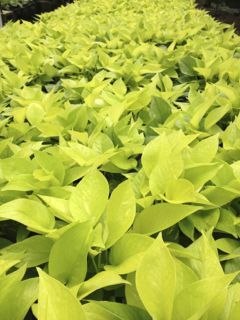 Over watering will cause yellowing of the leaves as well as leaf drop – and can lead to the roots rotting which can kill the plant all together. The only real concern when potting the plant is to make sure that the soil doesn’t have too much fluoride in it. The Marginata is very sensitive to excessive fluoride, which can cause the leaves to look scorched and brown, and they ultimately die. Using a soil that have pH levels between 6.0 and 6.5 will do well for healthy growth of the plant. The placement of any plant indoors is based on how much light it requires. In the case of Dracaena Marginata, it is best to place it somewhere with plenty of bright, but indirect, sunlight. The beautiful colorful leaves of the plant start losing their color if the plant doesn’t get enough light. On the contrary, if the plant receives too much light then it will start showing brown spots on the leaves. Therefore, a balance of light is important when growing the plant to let it thrive. Another major factor that decides the positioning of the plant indoors is temperature. The Dracaena Marginata is a plant that thrives in comfortable room temperatures ranging between 65 to 75 degrees Fahrenheit. One thing to remember is that the plant loses its lower leaves quite quickly if the temperature drops suddenly. So if you’re deciding to head out during the winters for some days, remember to keep the Marginata in a place where it will get constant warm temperatures. Watering the plant the right way is crucial for its survival. The Marginata only needs to be watered when the top 1 inch of the soil is dry. The plant should never be allowed to sit in a pool of water because it is very prone to root rot. You can find out if the plant is being overwatered when the tips of the leaves become yellow, or the new growths have very dark tips. If the canes start becoming soft and mushy, it means that they have developed rot as well. That said, it is not wise to let the plant remain too dry either. It can withstand some abuse, but keeping the soil too dry will cause the plant to wilt. Do not let this happen, because it will take a long time to have your plant recovered. As for fertilizer, you don’t need to fret too much. The Marginata requires very little fertilizer to grow well. Feed it lightly every two weeks in spring and summer, and once a month in winter and autumn, with a liquid based fertilizer. The major problem that Marginata owners face is the height. 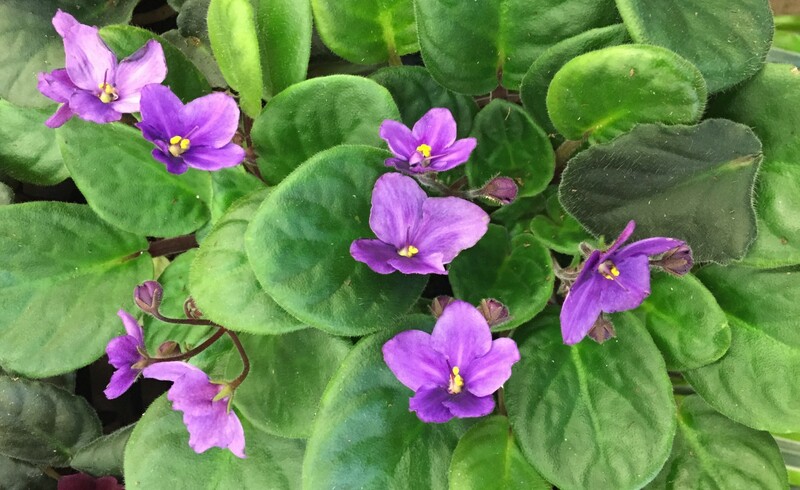 Purchased usually as a table top plant, it soon grows big enough to be put on the floor. With time, a healthy plant will start to outgrow the indoor space it is being kept in. This is the time when you should cut off some of the top to maintain height. It will soon grow two new shoots where you cut it off and start to look as beautiful as always. There are no major health issues that the plant faces except over-watering. Spider Mites are a common pest. If noticed, the plant should be hosed off very thoroughly to wash off the pests. The plant should be re-potted every two years until it reaches the height you want. After this, you should re-pot it every three years just to give it some fresh soil. The Marginata is a plant that looks stunning with its brightly colored leaves and tall height. On top of that, it is a plant that doesn’t require a lot of hard work to grow well, and responds very positively with little care. If you are in the hunt for something to add a few colors to your home, the Dracaena Marginata could be the perfect choice for you. People who own house plants know full well that caring for them can be a fun, albeit daunting, task. Some people try to get their hands on the simplest kind of plants they can find so that they won’t have to care for them every single day. Others, who love to grow plants, tend to take on more challenges. One of these challenges is the propagation of their plants so that they can add to their collection and also in case they want to gift a meaningful home grown present to someone close. • Choose a healthy section of a stem that has a minimum of three nodes. • Make sure that, after being cut, the lowest node doesn’t have any leaves or flowers growing out of it. • In order to root this cutting, choose either water or a rooting mix like soil-less growing media, sand, vermiculite, or perlite. Choosing a rooting mix is a better option for healthy growth. • Fill a pot with the media and add some water to dampen it. • Puncture a hole into the mix where the stem will be inserted. • Insert the stem so that one or two nodes are inside the mix, and then cover the mix with plastic sheet to maintain the humidity required for proper growth. • Keep the cutting in bright, but indirect, sunlight and ensure warm temperature. • Remove the plastic when the plant has started to grow on its own. Congratulations, your plant has now been propagated! One thing to note is that in case of cacti or other succulents, you have to wait for the cuttings to heal over before you can use them. When a cutting is potted, don’t cover it in plastic because that will cause rotting in case of succulents. • Including the stalk, break off a whole leaf. • Choose a rooting medium from the ones mentioned above, and place the stalk in it. • Cover the medium with plastic as in the stem cutting method. • Wait for new plant-lets to sprout at the base of the potted leaf. • Once these plant-lets have rooted, you can pot each plant-let individually. There are some plants, including snake plants and florist’s Gloxinias, which can propagate even with a small leaf section as opposed to the whole leaf. All you need to do is cut the leaf into sections, with each section having a major vein, and place them so that the base is a little covered by the rooting mix. There are some plants with trailing stems, or those like the spider plant that produce baby plants, which can be propagated by the method of layering. • Choose a rooting mix and fill a pot with it. • Place the pot under a section of the stem. • Pin the stem down into the mix by using a hairpin or something similar. • The stem will start rooting and then you can cut it free from the plant and let it grow on its own. Plants that can be grown in this fashion include Boston ferns, episcias, and pothos, among others. There are plants that have thick and woody stems, which makes the method of stem cuttings unsuitable for propagation. These trees or shrubs can be propagated by the process of air layering. • At the main stem, make a cut that is almost halfway through. The cut should be placed about one third of the way below the growing tip. • Stop the cut from healing over by inserting a sliver of wood or something similar in it. • Choose a rooting compound and apply it to the cut. • Take a handful of sphagnum moss and cover the cut with it. • Wrap the moss up in plastic sheet and attach the sheet with the stem as well. • Make sure that the moss stays moist. • When the roots are formed, take the new plant and pot it in a separate pot. • Remove the plant from its pot. • Take the root ball and break it up into sections. Make sure that each root ball has at least one rooted stem. • Simply plant all these divisions as individual plants. There are also some plants that produce small baby plants at their bases. These babies, or offsets, can be cut off from the mother plant once they reach about one third of their size. This is the size when most of these have developed roots. Simply put them in separate pots and treat as adult plants. The most common method of propagation is seeding. The catch with this method is that seeds can be a little hard to get, but if you do get them from a seed company then this is a straightforward method. • Place the seeds on top of a rooting mix, in a pot, and press gently into the mix. • If the seeds are a little large, press them gently and cover with a thin layer of the mix. • Cover the pot with a plastic sheet and place in bright light, in a warm area. • Once the seeds grow into plantlets with at least 3 or 4 leaves, take the plastic off of them and put them in individual pots. It can be very rewarding seeing your plants grow and propagate into new ones. If you have ever wanted to grow new plants from the ones you have but have been unsure of doing so, going through these steps can prove to be the motivation you were looking for.